eBay is running a special one-day sales event for a bunch of electronic items, some up to 70% off. A few of them are for Xbox 360 or could be used with other gaming setups. There are limited quantities on these special deals so act fast before the sale ends. One of three winners of the Nintendo World Championship in 1990, Thor Aackerlund, is selling his NWC Champion trophy on eBay with an asking price of $300,000! 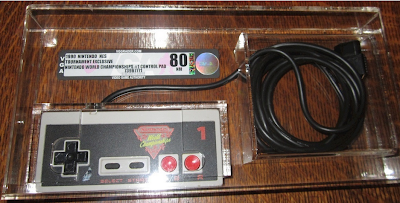 But wait, act now and he will throw in a NWC champion controller graded VGA 80. I doubt Thor will get even close to that asking price, but this is a one-of-a-kind item because the trophy has the age group engraved on it so it will probably sell for quite a lot. 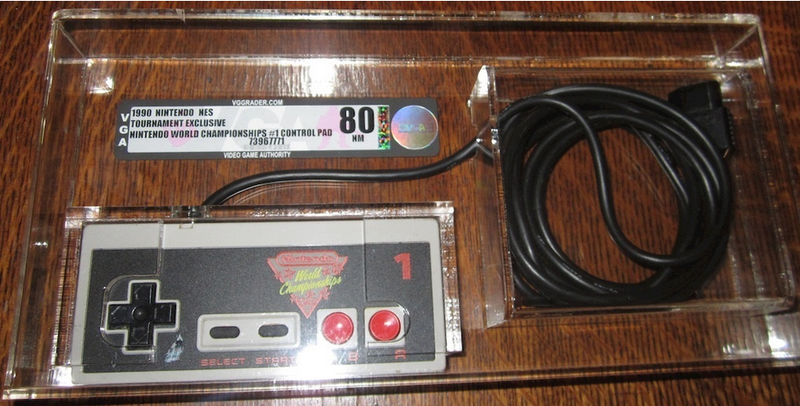 With $50,000+ prices paid for NES prototypes and sealed NES games, now is probably the time to sell an item like this. 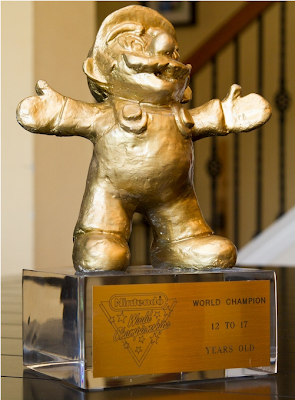 How much would you be willing to pay to put this on your mantle so you can tell your friends "Yes, I did win the Nintendo World Championship when I was 12." Two weeks ago at the Classic Gaming Expo we met Dain, the owner of video game forums and collecting sites NintendoAge, SegaAge, and PlaystationCollecting. We talked about many different game collecting topics and thought it would be great to work together so all our users could benefit. We've officially partnered up. They are displaying our used prices on their game detail pages and linking to our game pages so their community can see our historic prices, new prices, and price charts. 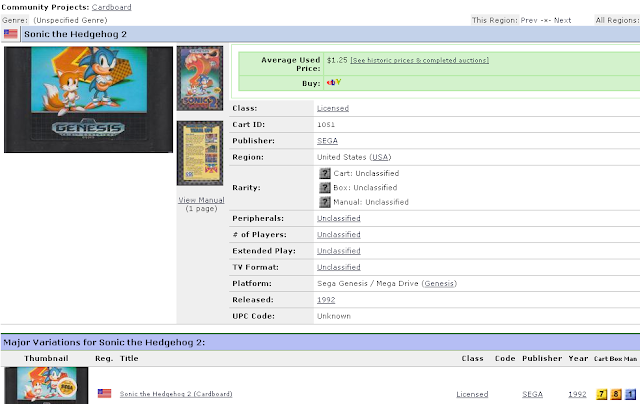 Users of PriceCharting can click the "More Details" link now displayed on almost every Nintendo, Sega, and Playstation game to see cover art, variations, screenshots, and more for games. Checkout a couple of example pages to try it for yourself. We highly recommend people interested in collecting join these site's forums. I've personally been a member on NintendoAge forums for several years and it is the most largest and most knowledgeable community of Nintendo collectors I've ever found. The Sega forum and Playstation forum are great too. Here is the screen capture video we promised for Nintendo PowerFest 94. 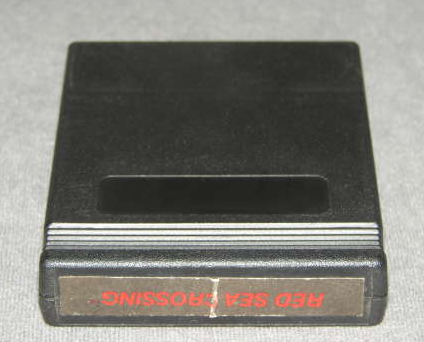 The video was captured directly from the Super Nintendo using a Dazzle video capture device, Suite 10 editing software that comes with the device, an AV splitter, and several hours to get it all hooked up. With this method the video doesn't have a reflection off the screen or show scan lines when the resolutions don't match. I'm so close to breaking a million. If I don't die on Mario and I use the red shell to kill all the guys I kill with the star instead I should be able to get a million no problem. 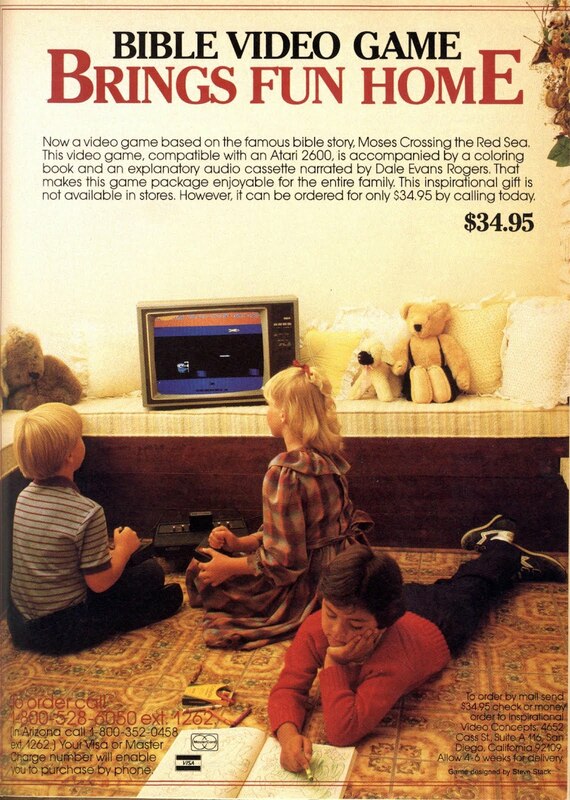 Strategy guides are a relic of a bygone era. The beautiful artwork, well-constructed writing, and detailed maps of these guides have since been replaced with wiki’s, GameFAQ’s, and YouTube “Let’s Play”'s. These guides are still being made today but the heart and soul hasn’t survived. Older strategy guides are often examples of well-crafted additions to games that should be just as sought-out and collected as the games they represent. Why don’t people collect Strategy Guides? Well, for one, a lot of them aren’t as great as I originally alluded to. Most “Unofficial” or “Unauthorized” guides are missing key points of information or just plain wrong about things. Even the official guides are lacking; the Prima guide to Mortal Kombat (2011) even went so far as failing to list correct input combinations for special moves. These publications are never perfect and 2nd print runs are uncommon. The limited nature of these items does add to the value, though. “Collector Edition” strategy guides are also popping up with every AAA release. This advent of “Collector Edition’s” does mean one thing, there is an emerging market. People are slowly starting to collect these things as the pack-in’s included are usually worth more than the guide itself. Common pack-in’s include a hardbound cover, a map, a poster, special DLC, or other unique items that you can’t obtain elsewhere. 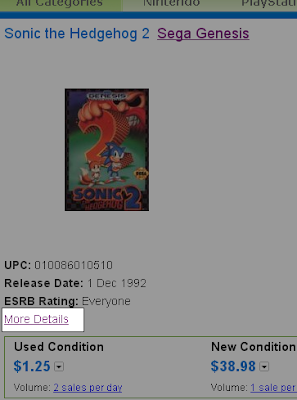 The resell value on these “Collector Edition” guides is much higher than the normal variants, assuming it comes complete. Wait a minute, what about all the old guides? You know what I mean, is my guide for Final Fantasy VII worth anything? Sadly, no. Most older guides can be found in second-hand book stores, eBay, and Amazon for less than $10 dollars (including shipping). Ouch, so does this make Strategy Guides a worthless item not worth collecting? No, not at all. Believe it or not, there are some guides that have increased in value. Finding and collecting data for this article is hard because no one seems to be paying attention to this market even though it is healthy and growing but I noticed a few trends. 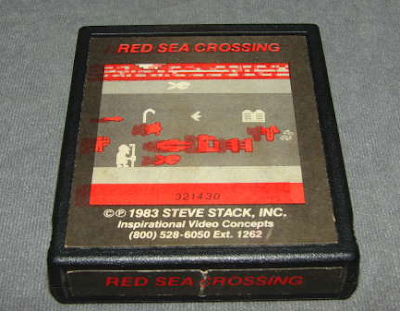 Games worth a lot of money are often accompanied by guides that are just as valuable. Consistently, Nintendo Power Player’s Guides for SNES classic games and guides to RPG’s sell for more than any other type of guide on the market currently. Nostalgia is the most likely driver of these price increases. By and large, one strategy guide continues to bully out every other pretender to the throne of “Most Valuable”. This guide consistently sells for around $100 no matter what condition it is in ~ EarthBound Player’s Guide from Nintendo Power. 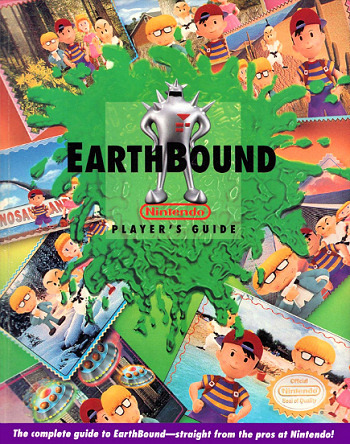 This is a unique piece, it was a pack-in itself with every new purchase of EarthBound and acted more or less as the manual for this title. What really made this guide unique was that it had 6 scratch-and-sniff cards included. 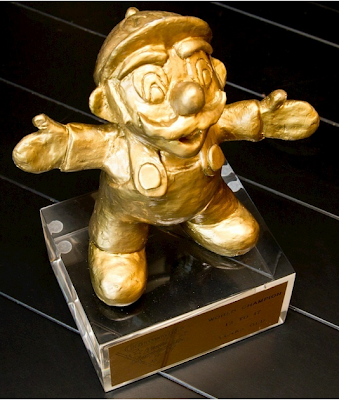 One of these could be torn out and mailed to Nintendo for an air freshener (also worth insane amounts of money). You will be hard pressed to find a copy with all these cards intact and still attached to the guide itself.